Yo ho matties! 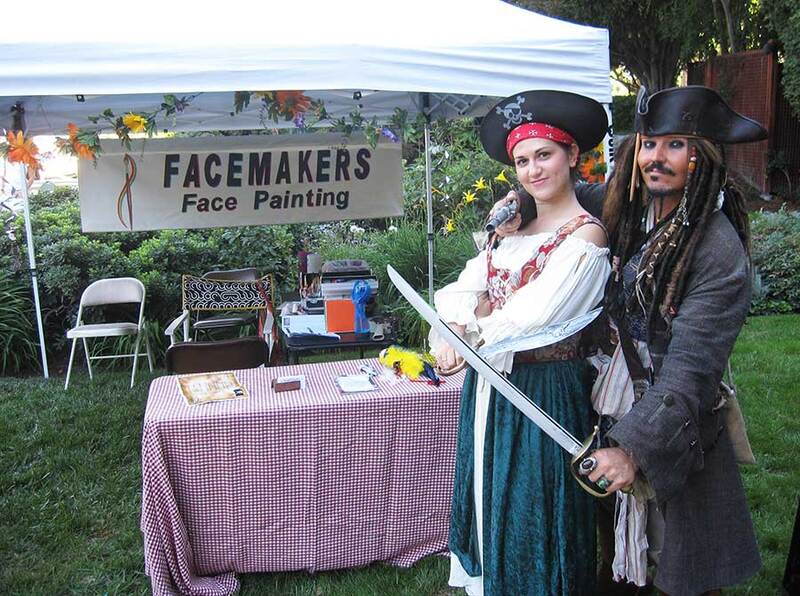 Had a great time hanging out with Captain Jack Sparrow and painting up a bunch of pirates. Fun times and a beautiful day. It’s so much fun being the Yellow Princess. I’d love to come to your next party. This was such a great event. I had no idea how many runners of all ages run this race. We arrived well before sunrise and started to paint faces. Painted non-stop until after all the races and all the prizes were over. Kudos to all the organizers and sponsors of this wonderful and purposeful event. Went to Comikaze 2011 at the Los Angeles Convention Center. Dressed as my own character… The FaceMaker. Got tons of pictures taken of me and met some really cool people. Randomly painted people in the crowd. Met the Winner Twins who are the authors of two (soon to be three) award winning sci-fi books and they are only 16 years old. Also got to meet Krag the Barbarian from Walking In Circles. He let me use his huge hammer and I let him use my paint brush. Oh what fun I had! It was a blast face painting at Bargain Babe’s Frugal Festival 2011. There were so many people there learning about discounts, food swaps, couponing and recycling. Thanks Julia for selecting us to be part of this special event. 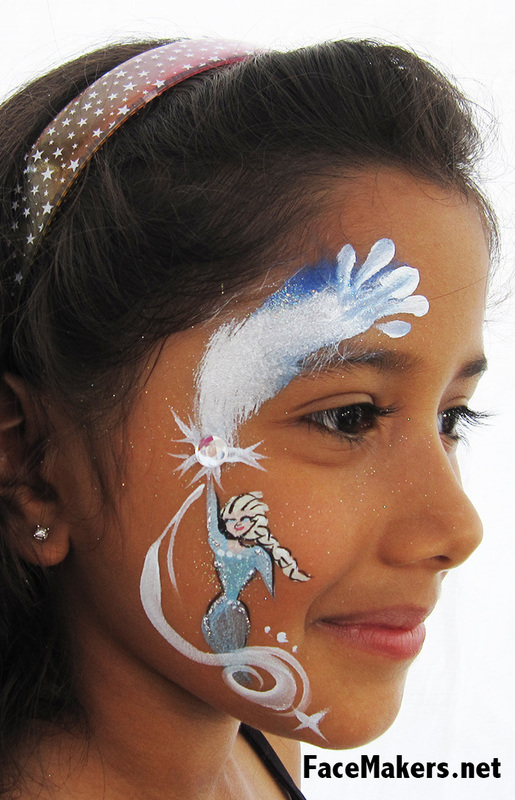 We enjoyed making the kids, adults and vendors happy with face painting magic. 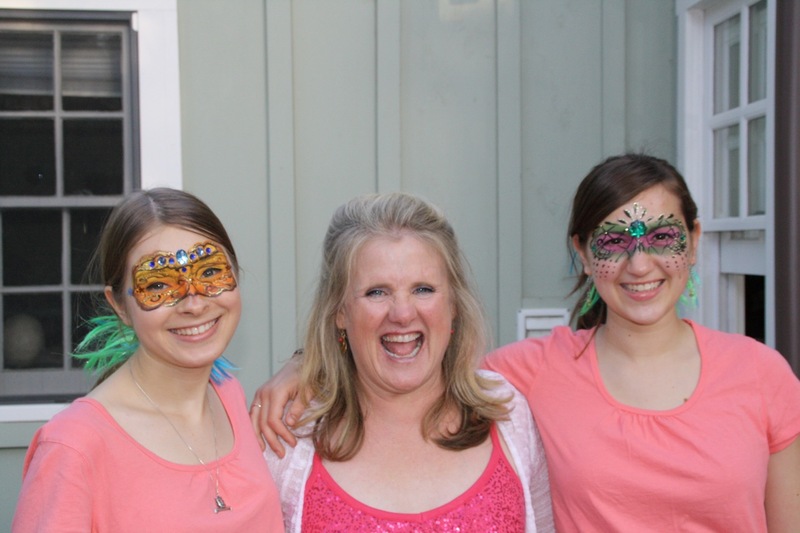 We had a great time painting for a great cause – the annual Happy House BBQ fundraiser at Nancy Cartwright’s beautiful home. It was so much fun painting on her aesthetically landscaped grounds while being entertained by the marvelous music of Tony St Tone and his band as well as DeeDee O’Malley and her new band, Size 7 Hat. We painted arms and legs and faces and hands of adults and kids. It’s always fun to hang out with Nancy (the voice of Bart Simpson). She’s such a great lady and she supports many groups that help people. Nancy ROCKS!